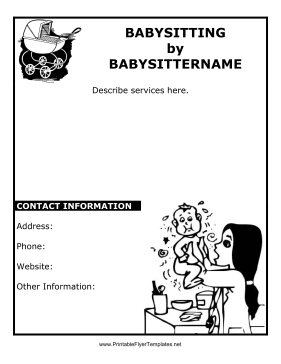 This black and white babysitting flyer is great for babysitters just starting out or anyone who wants to save on printing costs. It features a baby carriage and a young babysitter. You can describe your services and include contact information in the space provided.